Philadelphia Cream Cheese isn't just for Philly! Eight foil-wrapped packages to each little wooden box: that is how the first batches of Philadelphia from Bad Fallingbostel arrived on the market in 1961. In 2018, the cream cheese brand is proving more popular than ever. 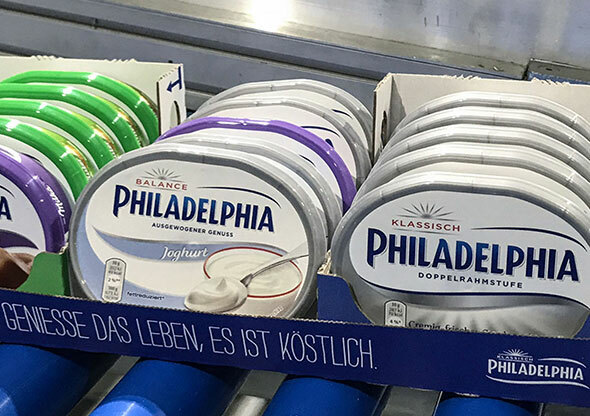 The plant in the North German district town is still one of the places where Philadelphia is produced – although nowadays in numerous and ever-changing varieties. 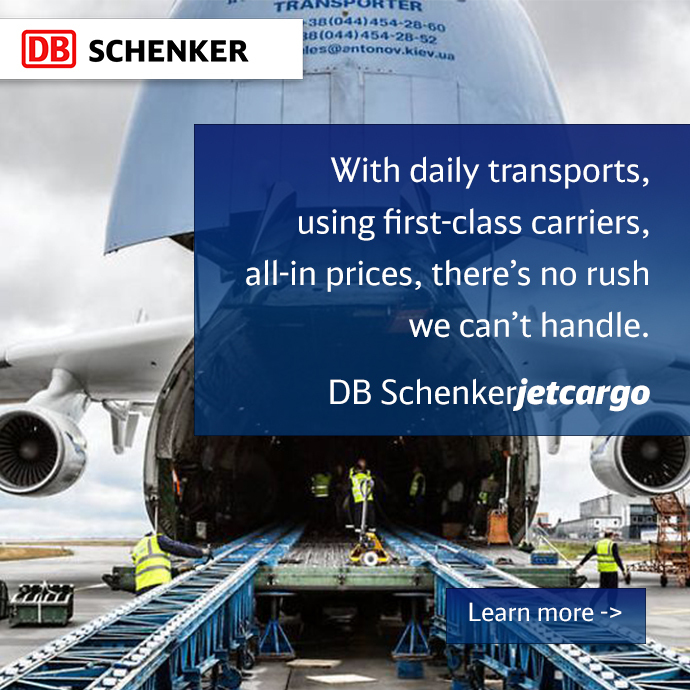 Ensuring that the cream cheese, as well as several other products, are delivered quickly and in cartons containing the correct mix of varieties to customers throughout Europe and beyond falls under the remit of DB Schenker as the contract logistics provider for the manufacturer Mondelēz International. The little wooden boxes of the past have long since been replaced by state-of-the-art technology and an ever-greater degree of automation in the warehouse. “Our ‘Philadelphia production line’ has been in operation since mid-2016,” says Nicolas Kleindienst, who as Head of Logistics oversees the operations in the facility directly adjacent to the plant. The starting point of the production line is a machine that does nothing but continuously fold cardboard trays; and it ends with another machine that stacks two trays on top of one another and covers them with a carton lid. Order picking the mixed trays is handled in the co-packing section of the logistics center that measures well over 20,000 square meters. But this is only one link in a long chain of tasks. The locally produced tubs of Philadelphia cream cheese travel through a closed transport bridge leading from the neighboring plant to the warehouse via an electric suspension conveyor. Once there, the tubs are automatically stored in the high-bay warehouse in round-the-clock operations. This warehouse not only features well over 50,000 pallet spaces but is also equipped with recently updated electronic control systems. Depending on the customer’s order, the cream cheese is then removed from storage. Some pallets are transported directly to the outgoing goods area, others go to order picking – and some end up on the “Philadelphia production line.” No matter what route the goods take through the warehouse, speed is always of the essence! 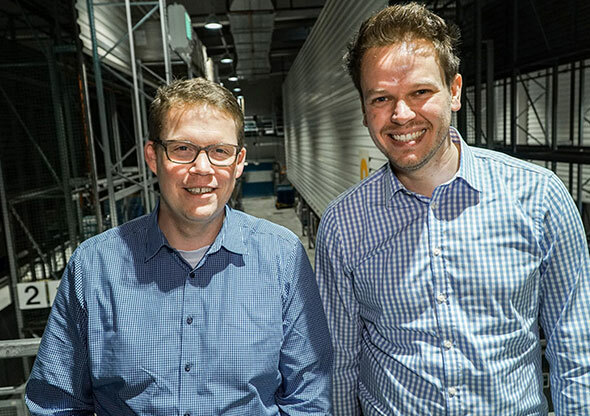 “In the case of domestic deliveries, Mondelēz International transmits the order on the one day, and we ensure that it’s ready to be loaded by the next,” says Ingo Beckmann, DB Schenker Site Manager in Bad Fallingbostel. “Although forecast figures allow us to adjust to the projected volume of goods required, we nevertheless have to deliver a top performance every time,” says Beckmann. The 170 employees at the warehouse also work flat out for numerous other brands produced by the manufacturer. “The ‘big players’ here include Miracle Whip, Oreo, Cadbury and Daim,” says Nicolas Kleindienst, Head of Logistics. While the salad dressing, called Miracel Whip in Germany, is also produced on site, other brands are transported to Bad Fallingbostel via truck from England, Sweden or Ukraine. Part of the Philadelphia cream cheese stock is also delivered here from one of the manufacturer’s plants in Spain. Switzerland supplies a brand renowned for its distinctive triangular shape: Toblerone, which has rapidly taken on significant importance at the warehouse. 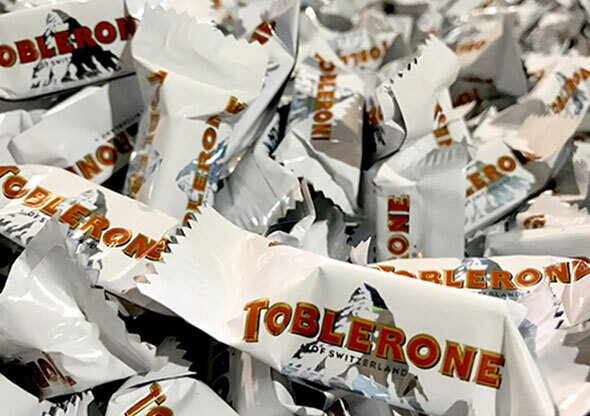 “In early 2018, we began producing bags that contain three varieties of individually wrapped ‘Toblerone Tiny’ chocolate pieces and are sold mainly in airport duty free shops – an important business for Mondelēz International,” says Nicolas Kleindienst. This involves using a form, fill and seal machine that was specially designed and commissioned. This colossus of a machine, which is several meters tall, transports the individual chocolate pieces along three ascending conveyors to a weigh station. These scales are programed precisely so that each large bag contains exactly 93 “Tinys” with a total weight of 744 grams. Simultaneously, the machine cuts the bags which are in fact stable pouches from a roll of film, molds them into shape and seals them. 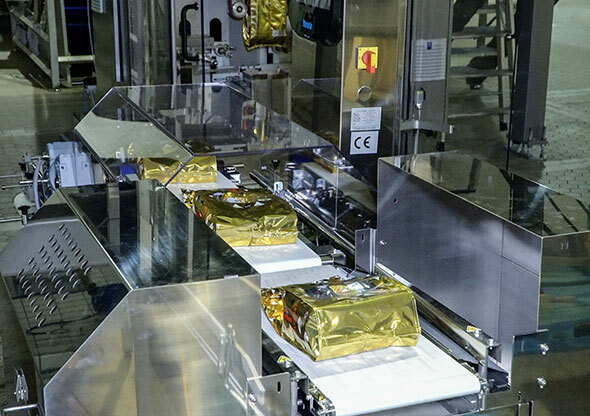 “At peak times,” says Kleindienst, who was responsible for implementing the system, “the machine can manage 55 bags per minute.” What is more, this machine also transfers the bags into cartons and then seals and labels them.